Judd Apatow's two-part HBO documentary promises to shed a revealing light on a brooding comedic force. A new documentary about the late comedian Garry Shandling airs on HBO March 26. In the 2016 book "Sick in the Head," filmmaker Judd Apatow's collection of interviews with comedians, some expected names frequently pop up as major influences – including Richard Pryor and George Carlin. But one of the most-mentioned figures is a comedian who notched widespread respect, if never superstardom, during a 40-year career: Garry Shandling. 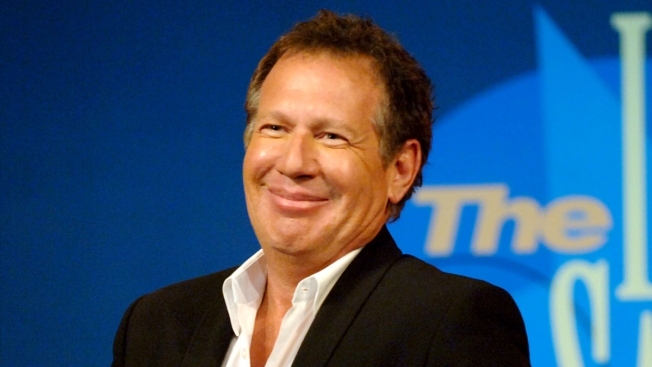 Part of the Shandling focus could be attributed to the direct role he played in boosting the careers of Apatow, and interviewees Sarah Silverman and Jon Stewart, among others. Perhaps, though, the attention speaks more to the larger legacy of a creative force whose "It's Garry Shandling's Show" and "The Larry Sanders Show" deconstructed comedy ahead of what's become a meta media age. That might be too much to hang on an insecure wit whose philosophy on celebrations could be summed up in a typically sardonic quip: "Everyone at a party is uncomfortable. Knowing that makes me more comfortable." We're left to wonder what he would make of "The Zen Diaries of Garry Shandling," a two-part HBO documentary that premieres on March 26, just past the second anniversary of his death at age 66. The 4 1/2-hour film, directed by Apatow, promises a look into Shandling's private journals, revealing a "brilliant mind and restless soul." During his years in the spotlight, Shandling revealed himself as an innovator, stretching boundaries as he toyed with TV conventions. His fourth-wall-ignoring late 1980s sitcom "It's Garry Shandling Show" can be seen in "Seinfeld" and other comedies where stars toyed with format and/or presented unflattering versions of themselves. "You created a new content form!" Seinfeld told Shandling in a 2016 installment of "Comedians in Cars Getting Coffee." "The Larry Sanders Show" emerged, though, as Shandling's masterwork. The 1990s unvarnished behind-the-scenes look at a late night TV talk show oozed with characters by turns self-promoting and self-loathing. It marked a bold move by Shandling, a frequent "Tonight Show" guest host whose name had turned up on lists of possible replacements for Johnny Carson. Shandling's often-dark HBO show also shaped future late night hosts – most prominently "Sanders" recurring guest Stewart, who took the value of seeking hard truths through humor to "The Daily Show." The promo materials for "The Zen Diaries of Garry Shandling" tout a look at his study of Buddhism – a pursuit that, at least on the surface, seems at odds with his brooding, cynical image. It's not too much to hope the documentary will shed new light on a comedy guru who earned his following plumbing the depths of shallow absurdity. Uncomfortable or otherwise, that sounds like a party worth attending.